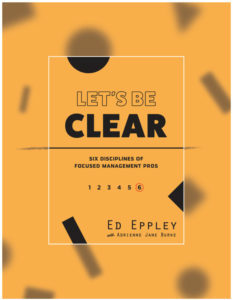 Ed Eppley is a global expert in professional management, sales strategy, and performance management. 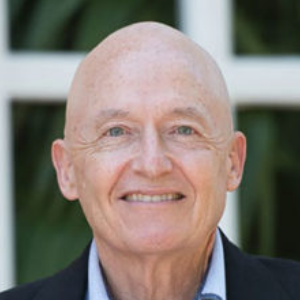 As a principal consultant for the Table Group, a Patrick Lencioni Company, and operator of The Eppley Group, he has worked with executive teams at multinational companies across the U.S., Europe, China, Japan, and Australia. His clients include a “Who’s Who” of business category leaders such as BMW, Bloomberg, Battelle, DSW, Goodyear Tire & Rubber Co., Safelite Auto Glass, Sara Lee, Speedway, Steamboat Ski & Resort Co., Value City Furniture, and others. A lifelong entrepreneur, Ed started an advertising agency and a manufacturer’s rep firm selling to the industrial and construction markets before creating Tyson Eppley Management, ProspeX, and The Eppley Group. As a facilitator of the Course for Presidents at Aileron in Tipp City, Ohio, Ed helps private business owners apply professional management disciplines to identify and correct workplace problems. Over more than 40 years, Ed has honed a skill for identifying talent, understanding executive challenges, and spotting and improving problematic management.